Art Meets Fashion for tomorrow Fashion's Night Out in New York City. KiptonART Artist Jim Sperber will be exhibiting his latest collection of work at the Dusica Dusica store in Soho. 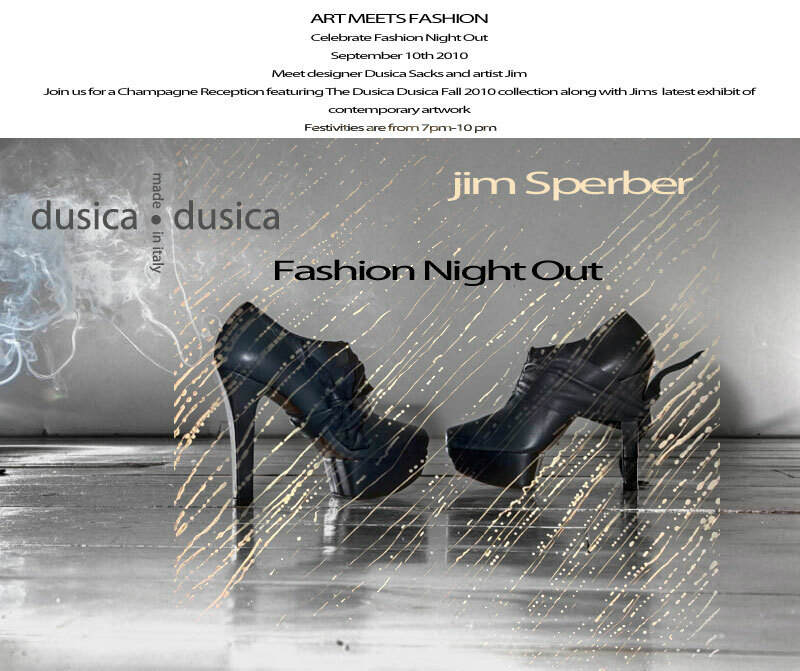 Meet designer Dusica Sacks and Jim Sperber while enjoying champagne for this very special event.